Home > Our Vacations > Day Trips and Misc. Our neighborhood celebrates the "Night to Unite" with a block party. The kids joined in the bike parade. 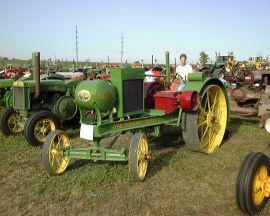 We head down to Jordan, MN to see the Scott-Carver Threshers Show, featuring lots of antique tractors, working displays, etc. We head down to the Minnesota Landscape Arboretum on a beautiful summer day. 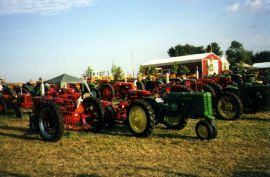 In June 2007 we attended the John Deere Two-Cylinder Expo XVII in Waterloo, Iowa. In October 2006 we took a day-trip up to Jay Cooke State Park and Duluth, to take advantage of the nice day and see some fall colors. On Friday, July 25, 2003, the Meservey-Thornton class of 1988 (of which Tim was a member) held their 15-year class reunion at the Pleasant Valley Golf Club in Thornton, Iowa. 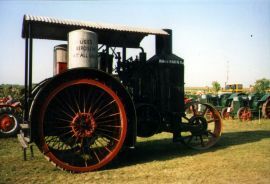 Over Labor Day Weekend 2001, we attended an antique farm show held by the Cedar Valley Engine Club in Charles City, Iowa. 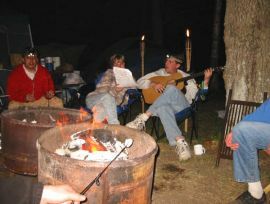 In July 2001, Tim and Cathy, along with friends Mike and Valerie Bechtold, attended the SonShine Music Festival, a Christian Rock outdoor music event, held over 3 days in Wilmar, Minnesota. 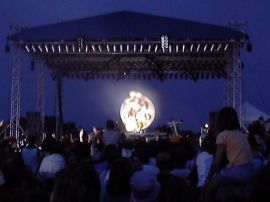 Here are some pictures from the event. Random files - Day Trips and Misc. 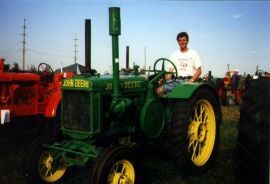 Model DTim poses on a John Deere Model D, which was the first Deere tractor to carry their name. Minneapolis MolineHere's an unusual Minneapolis-Moline with cab. TractorsAlthough John Deere is our favorite brand of farm equipment, there were many other brands at the show. 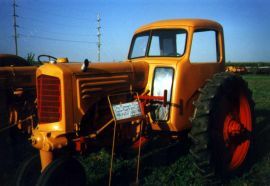 Some of them included Hart Parr, Oliver, Avery, International (FarmAll), Allis-Chalmers, Ford, White, Minneapolis-Moline, and more. Here is a view of the yard.